You like it? 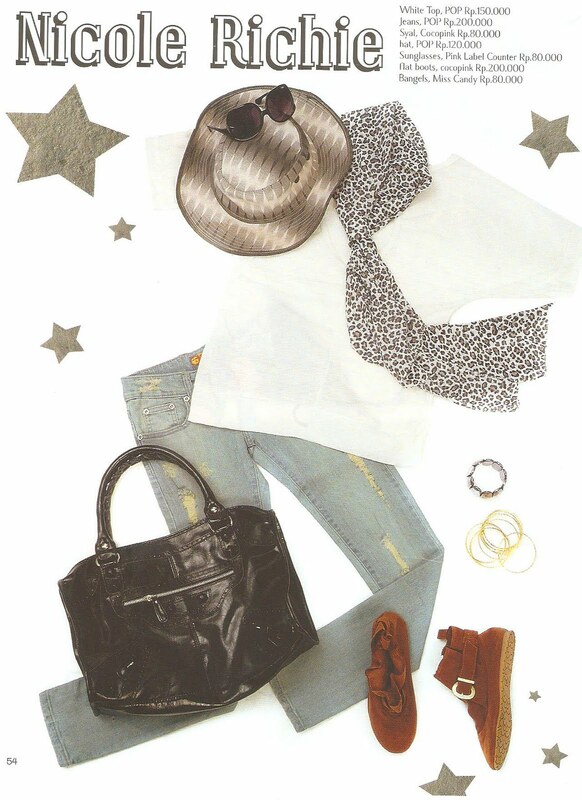 just look at the mix and match above, you only use ripped jeans or denim jeans, white t-shirt, leopard scarf, vintage shoes, black bag, and some accessories. Today i post this "cool style" of nicole richie because i found that in b'girl magazine and it must be put on my blog (oh ya?) ha ha ha. I love nicole richie's style so much, simple but amazing! and also i love her clothing line, winter kate and house of harlow 1960. She's a great designer and extraordinary mom for harlow and sparrow. hi hi. OK! just enjoy guys! yeah, i like this style so much. ME TOO!